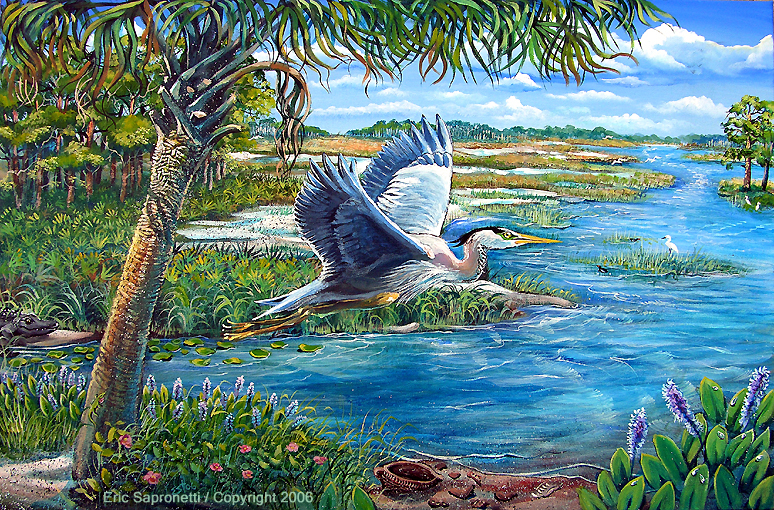 SOLD TO HELP ARTIST GO TO COSTA RICA ON A CHURCH MISSION TRIP!__ Blue Heron can be found all over Florida, and they especially thrive at St. Mark's wildlife refuge in North Florida. When standing they seem almost stick-like, but once they take wing their size can be quite compelling. This painting is 36" by 24" on stretched canvas. Sold to pay for mission trip to Costa Rica.